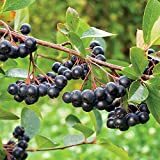 Aronia berry bushes for sale – Easy plant to grow with edible fruits, planting in spring to autumn, better to buy plant or another option to start from seeds yet more challenging. Aronia berry bushes for sale – When it’s the season to buy for planting Aronia berry bushes? 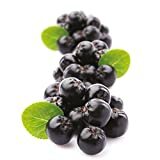 Before buying what is the requirement to grow Aronia berry bushes? Requirement to grow Aronia berry bushes: cold winter (chill hours), heavy soil, doesn’t like competition with other plants, average amount of water and full sun.